Listen up folks: Neil Patrick Harris starring in Hedwig and the Angry Inch on Broadway is very important to us. The original is a fantastic piece of musical theater-turned-cinema, and Neil Patrick Harris is a fantastic human. It's a win-win! And it's got the added bonus of making us feel better about the fact that Barney Stinson is about to cease to exist (though hopefully not in the "dead" way)! 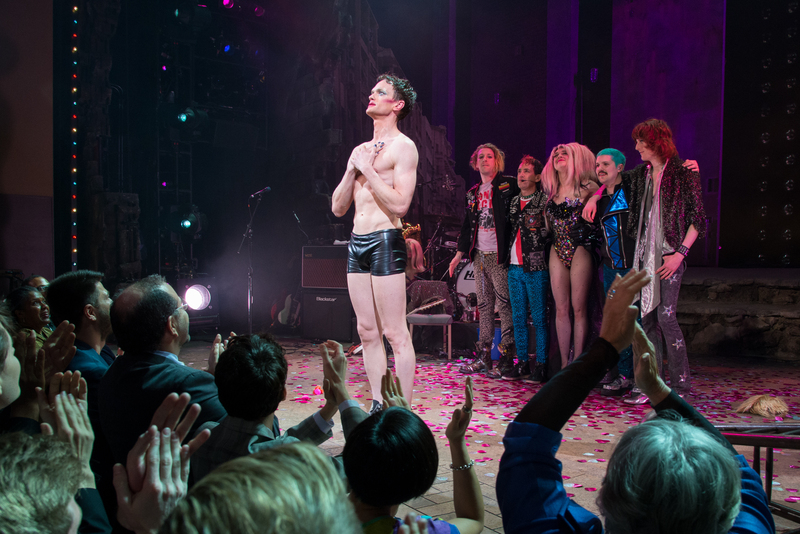 We feel especially better given these promo shots of Harris in Hedwig and the Angry Inch . Our response? "Yesssssss." Hedwig, written by John Cameron Mitchell and Stephen Trask, follows an East German transgendered singer. The part was played by Mitchell (who some might recognize from his role as Hannah's editor in Season 2 of Girls) in the 2001 film version of the musical, and will now be played by Harris in the first Broadway incarnation of the production. The show started previews this weekend, and is expected to run through at least late summer. "I do love a warm hand on my entrance," the caption for the preview image (above, and viewable in full stilletoed glory here) reads, in reference to the hands printed over Harris' derriere.